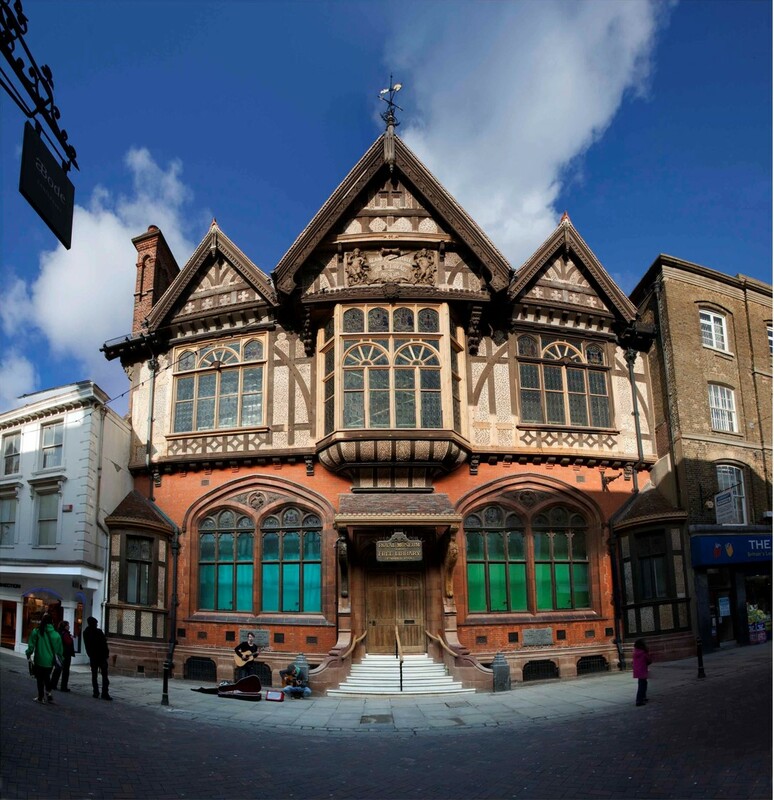 The Canterbury Cluster’s involvement in Sensing Culture, including Canterbury City Council Museums & Galleries, and Canterbury Cathedral (CCCM), has been led by Beaney House of Art & Knowledge. The Beaney is a Grade 1 listed building, containing nationally important collections of fine and decorative art, natural science, social, world and local history material. Canterbury Cathedral is part of Canterbury’s World Heritage Site and attracts over 1 million visitors a year. The building and its collections are of international importance, with documents and artefacts dating from the 9th century onwards. We wanted to encourage blind and partially sighted visitors to access our collections, through innovative and creative sessions. Prior to the project we didn’t have the resources to prioritise working in this way. We discovered that our existing relationships with the voluntary sector specialising in this work, didn’t necessarily translate into supporting the recruitment of blind and partially sighted participants. However, this was resolved in the longer term as word got around that there was a great free project on offer! We paid professional artists, who had experience of running sessions for people with sight loss to help us facilitate the ‘Art of Making’ workshops. These free sessions, set up as a creative group for adults with sight loss, have been running monthly at the Beaney and Canterbury Cathedral. They are tutored by an artist with considerable experience in working with visual impairment. Participants enjoy handling objects from the collections, tactile tours, and creating their own artwork. The artwork from the sessions has led to two exhibitions in the Beaney Front Room gallery (a space which showcases work by local artists and community groups). The group has become strongly co-supportive, welcoming to new members, and highly creative. The participants also double as a focus group, to help with development of greater accessibility for visitors to the Beaney. The group have therefore been helping the Beaney to make permanent displays more touchable, upgrade the Braille and large-print offer, and have been creating a tactile trail and an iBeacons app. In addition, a separate music strand has been developed – see Canterbury Cluster: Beaney Butterfly Machine Case Study. Allow plenty of time for the participant recruitment stage – don’t feel the need to start delivery in a rush. If your project involves participants creating work, find a way to exhibit it – it provides a useful goal, and is also a fantastic way to change the way visitors unaffected by visual impairment regard sight loss. Integrate your work with blind and partially sighted visitors into wider museum programmes. For example, create a tactile object handling collection that everyone, regardless of sight level, will love. Always apply for project management funding within a project, so that your work on other projects and delivery isn’t disadvantaged.